With an office located in Los Angeles, Van Wagner Aerial Media is capable of providing aerial advertising solutions to advertisers throughout California. 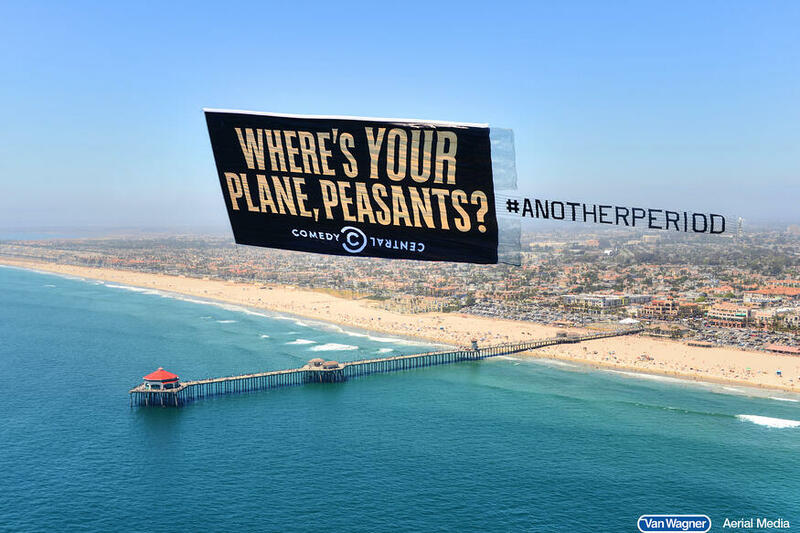 If you’re looking to fly an airplane advertisement above some of the hottest beaches in California, we can help! Our banner towing planes, sky writing planes, and blimps are fixtures above California’s busiest beaches, surfing competitions, sporting events, as well as music festivals and busy highways. 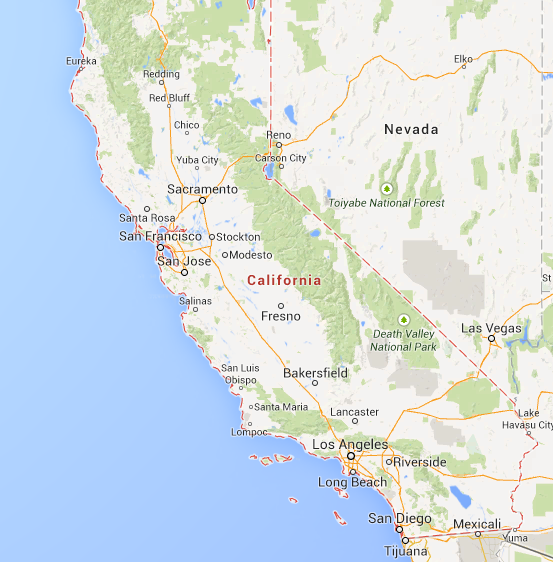 The geography and climate of California makes it a perfect market for aerial advertising. With nineteen professional sports leagues in the area and many of the country’s most prominent universities, you will have a large variety of events and locations to choose from. Our aerial advertising experts in California will provide you with full integration of your existing campaigns anywhere in the state. Whether you need help crafting the perfect banner or getting your hashtag in front of thousands, you’ve come to the right place. 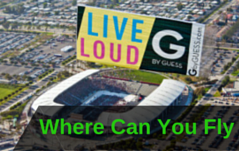 Which Event Is Right For My Aerial Advertising Campaign in California? We have been in the outdoor and aerial advertising business for decades, and our account managers are well-versed in the best locations and events to fly in California. By choosing Van Wagner Aerial Media, you’re not just enlisting the services of a sky writing, banner towing, helicopter advertising, or blimp advertising pilot, you have a whole team behind you that will help you make strategic decisions surrounding what your airplane banner’s creative should say and which locations will help you target your key demographic. Aerial advertising in California has a place in every city and every scene, from the glam of Hollywood to the surfer life along the shore. 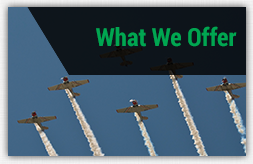 Simply put, we go above and beyond our competitors, offering you key marketing insight into your aerial campaign. It's The Van Wagner Difference. Exposure is essential to growing your company, and what’s better than your ad floating through the sky on a sunny California day? 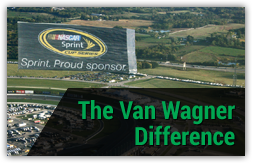 Whether it’s a branded helicopter performing stunts above glistening beaches, or a banner flying above your grand opening, you’ll get a premium display designed to meet your specific needs at Van Wagner Aerial Media. When you invest in aerial advertising in California, you’ll increase the awareness of your brand and build relationships with your audience. Stand out even further by selecting our line of Lightship model eye-catching advertising blimps, or a complete team of five planes for sky typing that can reach an entire beach. 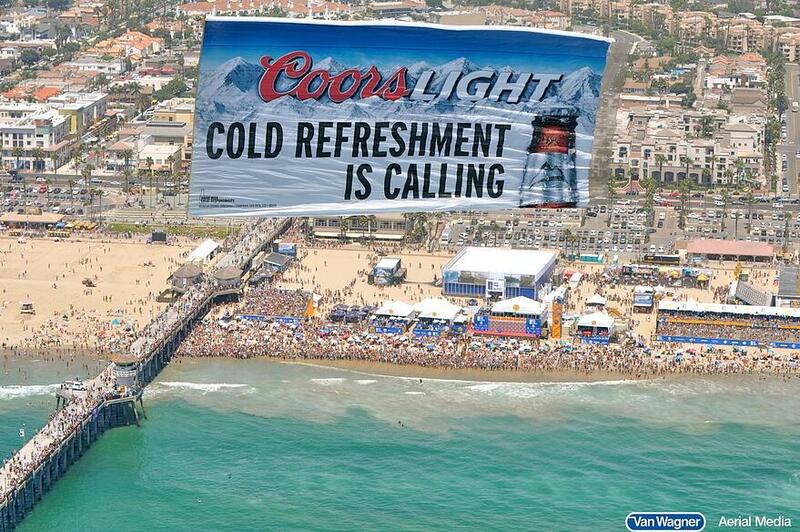 Aerial banners in California work across any city, beach, music festival, or anywhere large groups of people gather. 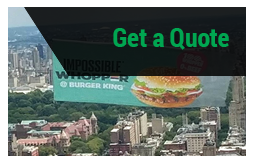 Get your Free Quote today, and learn how aerial ads can reach your targets throughout the year. Contact Us Today To Set Up A Flight In Your Desired Area Or Click Below For a Free Quote!